I should start by saying that I’m probably too biased when it comes to my hometown. When I was growing up there, I never thought I wouldn’t be living and working in the same streets. I guess the good thing is that I now visit it only long enough to get the best of it and forget about all the stuff that used to annoy me. ANYWAY. Athens with a capital A could take up a whole blog in itself (in fact, it probably already does for some, it’s on my list to figure this out for you) so expect this to be part of GreekStreet mythology along with London posts. When I say mythology, I don’t really refer to the ancient Greek kind but the X-Files kind – where certain storylines were picked up during the different seasons as opposed to the standalone episodes, like Monster of the Week. (Yes, I’m still obsessed, get over it, even Fox wants to bring the show back!). 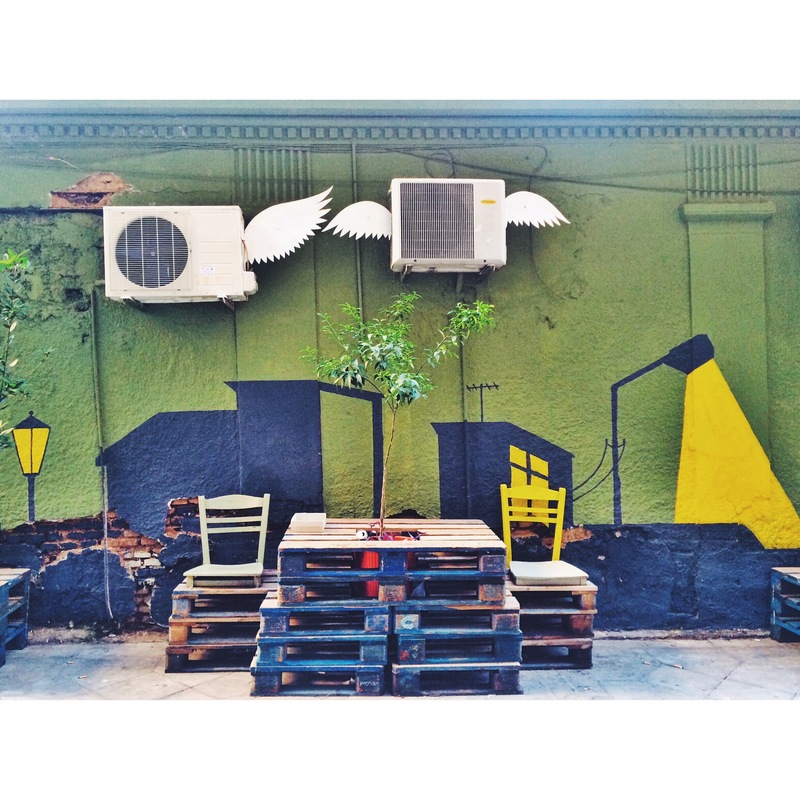 The best bits of Athens are indeed concentrated in the historic centre of the city. There are plenty of places to visit in the suburbs and surrounding municipalities but these are better suited to travellers with more time and/or Athenian friends. No matter if you’re visiting in the summer or winter, start your day early. 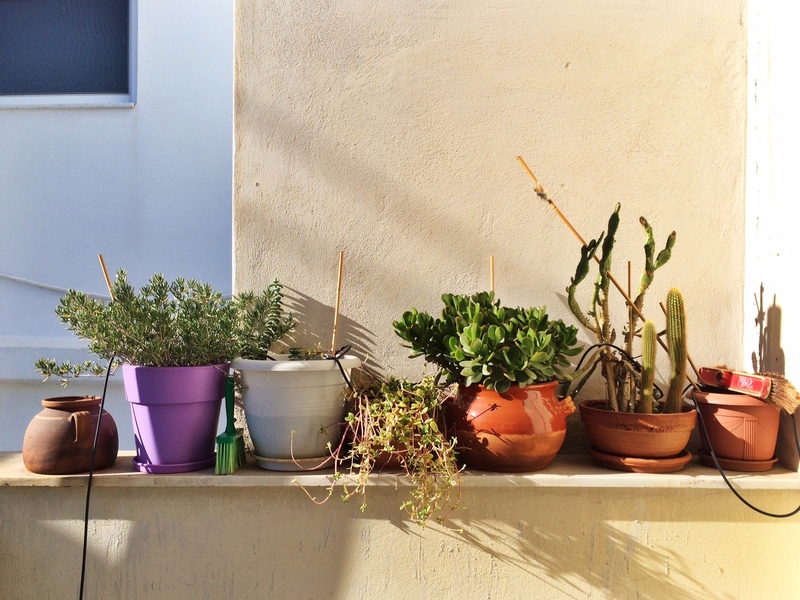 If you’re not extremely unlucky, you’re bound to experience the beauty of Greek sunlight that’s gorgeous no matter the season. Skip the buffet breakfast (unless you’re staying in a hotel that’s been rated good for breakfast, which sadly doesn’t happen often for Greek hotels). Grab a bottle of water and a koulouri on the way; these are sold from mobile stalls everywhere around the centre of the city. My favourite is the Thessalonikis kind; if it’s fresh, it should be wonderfully crispy and chewy at the same time. Morning snack sorted for less than 1 euro. 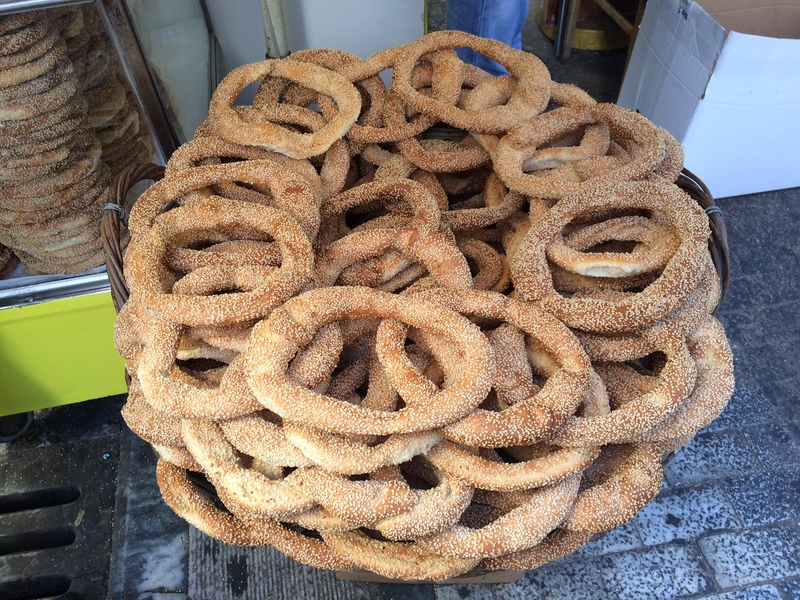 Koulouri – or simit. Excellent snack for a mere 50 cents at most! 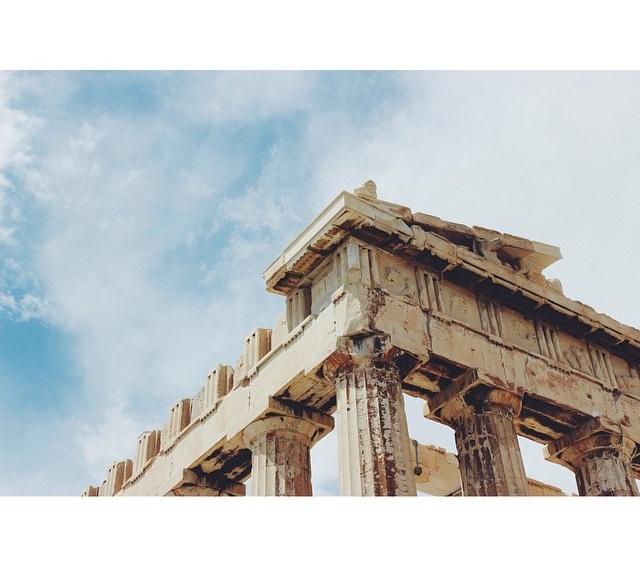 If you’re into sightseeing, then you should make Acropolis your first stop. As with every place that heaves with tourists, the early bird catches the worm. And if it’s the summer, you really don’t want to be caught under the sun in the middle of the day – you’ve been warned. If you’re really into history and archaeology, you should try to get yourself into a guided tour because the beauty of the site is in the details that you wouldn’t know if you hadn’t been told or read up on it. Such as the fact that there are no straight lines in the architecture of the Parthenon. I know it’s cliché but this place is truly unique – it was the epicentre of politics, arts and philosophy and the ideas it harboured are still the cornerstones of our Western civilization. It’s also an opportunity to look over the city and get a glimpse of the cement jungle that (sadly) characterizes most of it. On a clear day, you can see all the way to the sea and the port of Piraeus. 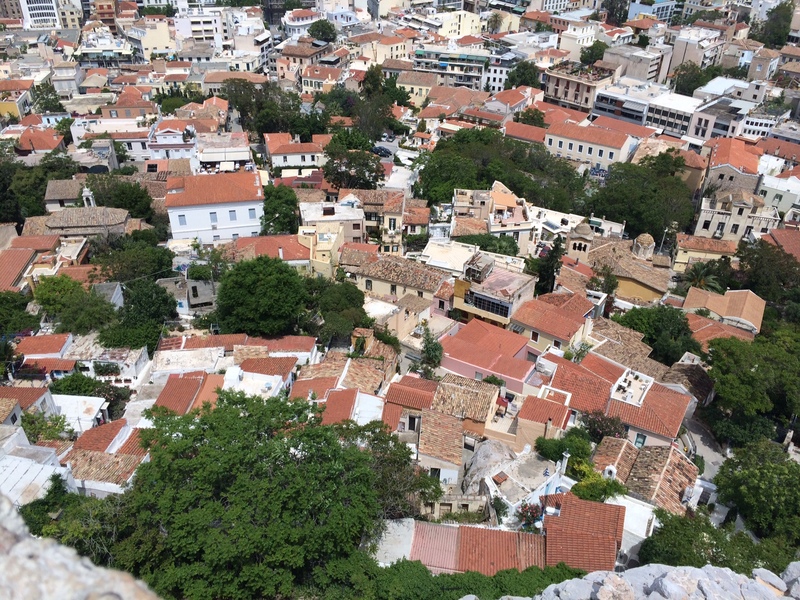 Some of the greenest parts of the city can be found around the Acropolis rock and if you feel like walking after your tour, you can make your way to Filopappou Hill, otherwise make your way down to Anafotika and Plaka, the oldest (and possibly prettiest) Athenian neighbourhood. Narrow streets with red-tiled ochre houses, the area is a tourist hot spot with many a tavernas and cafes available for visitors but also for Athenians. Stop over at Yiasemi for a coffee and a snack on the steps. They usually do a simple pie with feta, tomatoes and olive that is delicious as well as portokalopita, a kind of orange cake. Don’t be too greedy as there are so many food options to explore around the city. After you’re well nourished, walk the streets of Plaka and marvel at the tackiness of the souvenirs that remain unchanged for decades. Seriously though, someone needs to breathe a fresh air into the design of them and thankfully there’s a new kid on that block – Forget me not. It’s a bit pricey but you won’t regret it. They have a wonderful selection of items to take home, including this mug exploring Greek typography in white and blue. Don’t feel tempted to buy any deli items from the shops around Plaka, they’re extremely expensive and probably not that good. If you’re into noisy and smelly markets, it’s definitely worth stopping by in the streets around Athinas where you can buy packs of freshly dried gorgeous oregano for a couple of euros, as well as lavender and Greek mountain tea or verbena. 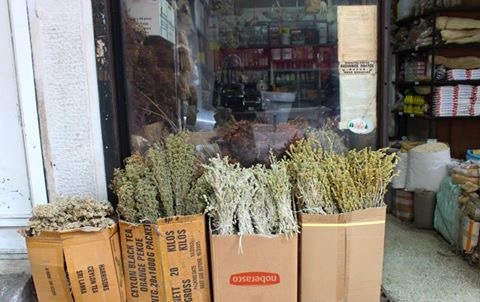 Many small shops around Athinas street sell dried herbs in bunches for low prices. I get all my oregano from those parts of Athens. 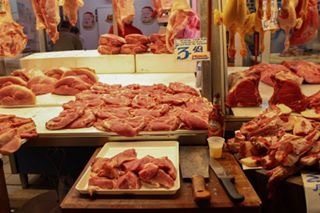 The meat and fish markets (Varvakeios) are also quite an experience but not for the faint-hearted. If you’re into street photography, you should definitely go although be prepared for some weird stares as this isn’t exactly Columbia Road Flower Market in terms of hipster factor. Varvakeios agora (agora meaning market in ancient and modern Greek). Not for the vegetarians amongst you! I’m throwing in a curve ball for those of you that are not into making your way all the way up the Acropolis/those who have been there before/too pressed for time. 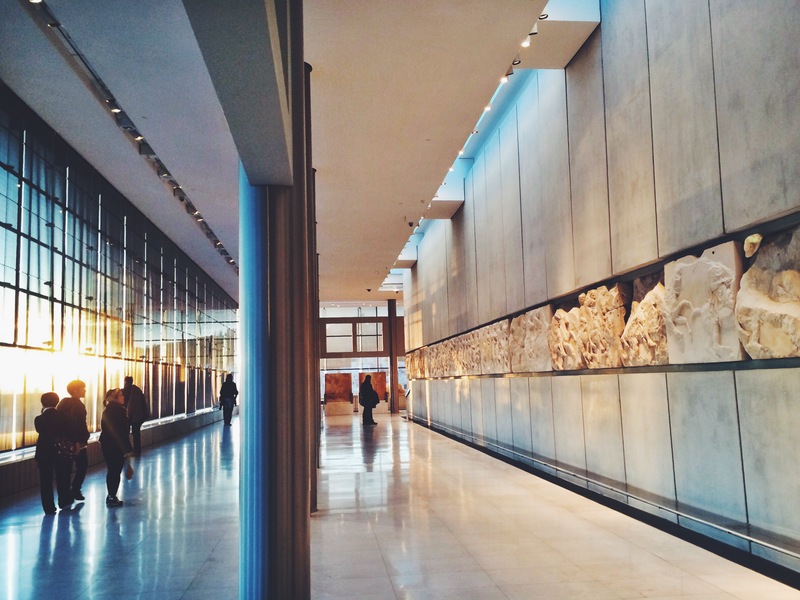 If you’d like to skip that part altogether, I’d recommend at least passing by the Acropolis Museum which is quite the experience. For a quick fix, start from the top where you have the whole top of whatever is left from the Parthenon (ad not in the British Museum) mirroring the ancient site, which you can see from the museum windows. If you can match that visit with golden hour, you’re in for a treat! The rest of the floors are equally great but take time and require a lot of attention and reading to get the full effect of the artistic transformation that’s explored during the distinct archaeological times that are featured in the museum. If you’re trying to make the most of your day and don’t want to look around too much for where to eat, the museum’s café has excellent food and drinks with a view of the Acropolis. And what next? To be continued.